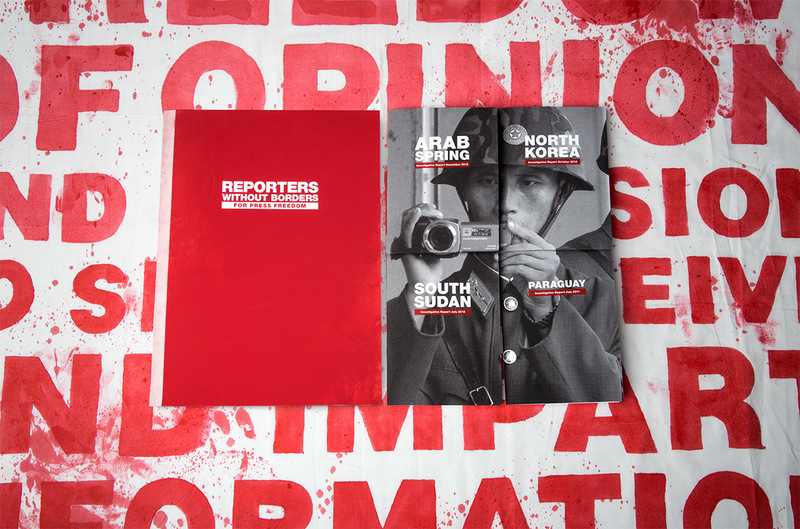 Reporters Without Borders publishes The Press Freedom Index each year to support freedom of the press around the world. Using data from these reports, I created a short video to share online. In addition to the animation, I designed a limited-run printed folio to seek out high-impact corporate donations from executives. Data from the Press Freedom Index lists the challenges that journalists face, but bringing visuals to these numbers helps make their deadly scale harder to ignore. The challenge when writing this script was to balance credible information with relatable emotion. The tone needed to be urgent, reliable, and human in order to address both the broader consequences and immediate dangers of censorship. 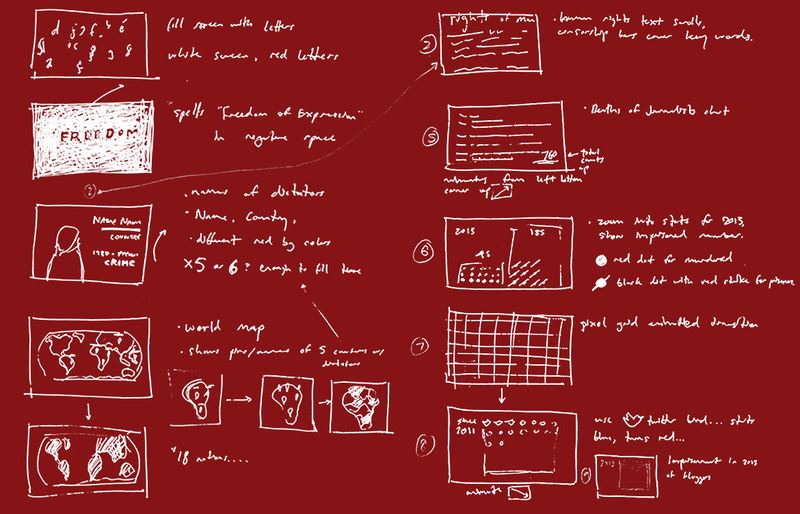 Sketching helped nail down data visualizations, imagery to bring the voiceover to life, and intuitive transitions between concepts in the script. 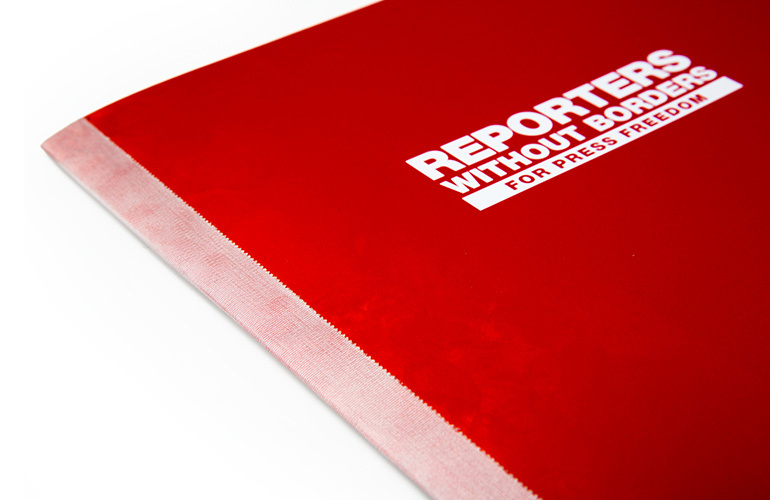 A journalist's survival kit was created to leave on the desks of potential high profile donors. The piece includes an overview of the organization's impact, briefings on key conflict regions, and an outer wrap soaked with lines from the Universal Declaration of Human Rights. The folio fills the readers' desk when unwrapped, bringing them into the conflict in a tangible way. 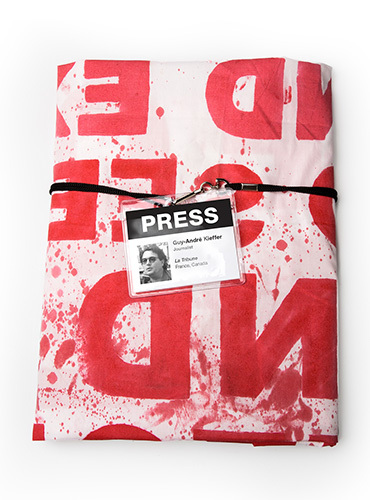 Medical materials emphasize the severity of the violence taking place, and the package is held together with press passes of missing journalists.